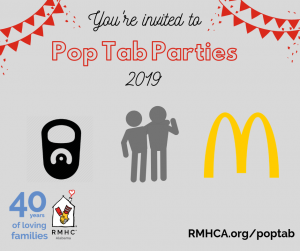 We would like to make sure that you all knew how much we appreciated having access to Ronald McDonald House Charities of Alabama which is across the street from UAB Woman and Infants. 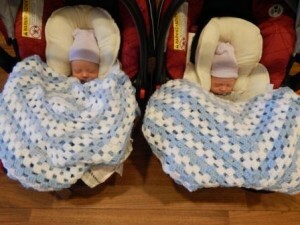 Our stay lasted a little over seven weeks while our newborn twins, Beau and Sheppard were in the RNICU/CCN. We knew there was a chance the twins could come early, but arriving at 31.6 weeks was very unexpected! We were living in Nashville, but visiting Alabama for our baby shower when I went into labor. Thank goodness I made it to Birmingham by ambulance before the twins arrived! It was such an emotional and unsure time in our lives, but having the support and availability of RMHCA made our experience more comfortable and we were most certainly humbled by the amount of charity that occurs in this building! We had NO idea what this charity was capable of and how many lives were truly touched on a daily basis. THANK YOU SO MUCH FOR EVERYTHING! 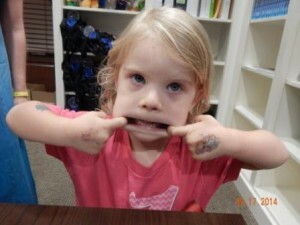 Our four-year-old daughter, Marlee, enjoyed her stay and still refers to RMHCA as the home we had while the twins were in the hospital. All of the staff and volunteers were so friendly and it was nice to meet other families going through similar situations. As a health & fitness coach, It was so nice to have access to a full kitchen and we don’t know what we would have done without the meals that were provided almost every day! During our twins hospital stay we relocated back to our hometown in Alabama from Tennessee. We will now be able to make someone else’s stay possible and just as comfortable as ours was. We have spread the word about ways to donate to RMHCA, how to adopt-a-room, and other ways to help. We hope our story inspires you as it did us.